We give you our thanks for your willingness to go the extra mile (miles) when needed or requested. Your cooperation and positive attitude along with that of Miguel, Otoniel and your entire crew made the large and intricate job as painless as possible for us. Just a quick note to share that we couldn’t be happier with the deck and the quality of installation. Thank you for all your help. We could not be happier working with Weston and the deck he designed and built with his experienced crew. The deck exceeded our expectations. His crew, Allen, Drew, and Eliazar, were a joy to watch and to work with. They took extreme pride in their workmanship. Everyone collaborated with us from the initial consultation and throughout the construction process. They all were careful to ask questions and make recommendations. They were excellent listeners. Weston recommended the Zuri deck boards even though the upfront purchase costs were higher than other materials. He carefully explained that in the long run it would be more cost effective saving us the time and expense of upkeep. 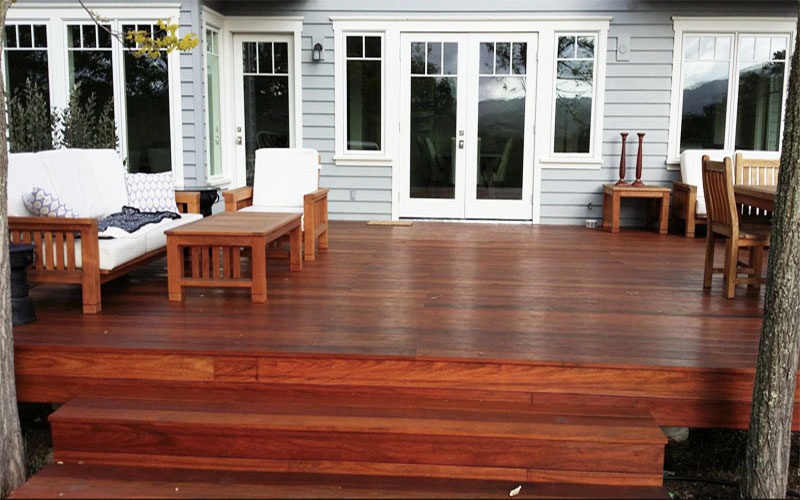 Most importantly, the Zuri boards do not fade like most deck boards and maintain their beauty for decades. They can be maintained with just a light mopping with a warm mild soap solution. 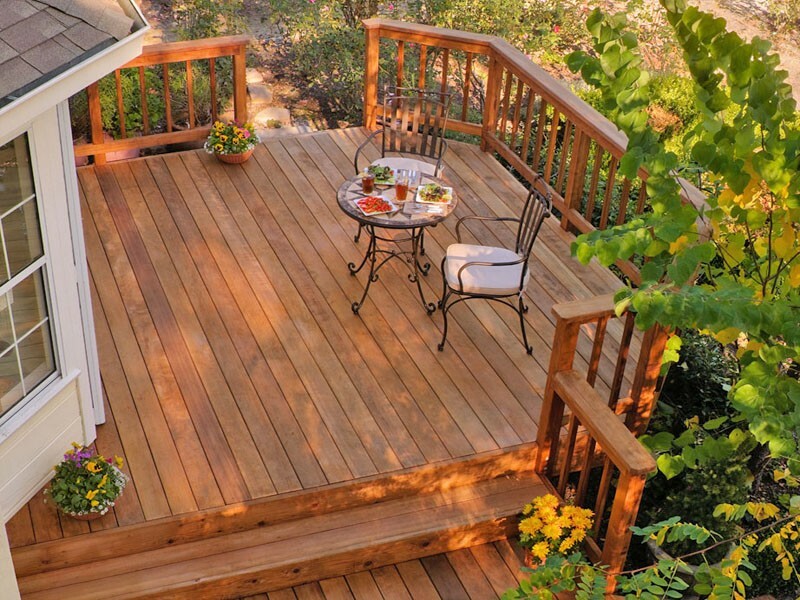 Just as important the deck is a beautiful work of art. The decking and finish work would be beautiful for our indoor floors. His crew are true craftsmen. The cost came in on budget and on time. They stayed on the job every day until it was finished. 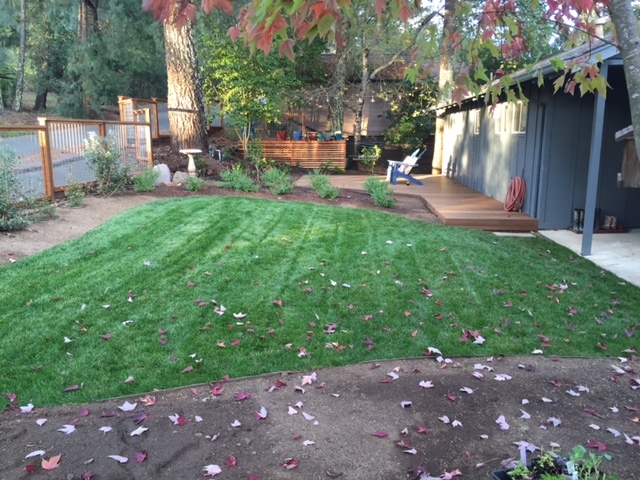 They completed the deck in just under five days. They made minor repairs to our house that only became apparent after the work started. The added expense was modest and they got the change order approved up front. We learned that it pays to hire the best and they are the best. I am not being paid for this glowing report. We are simply very happy clients.. 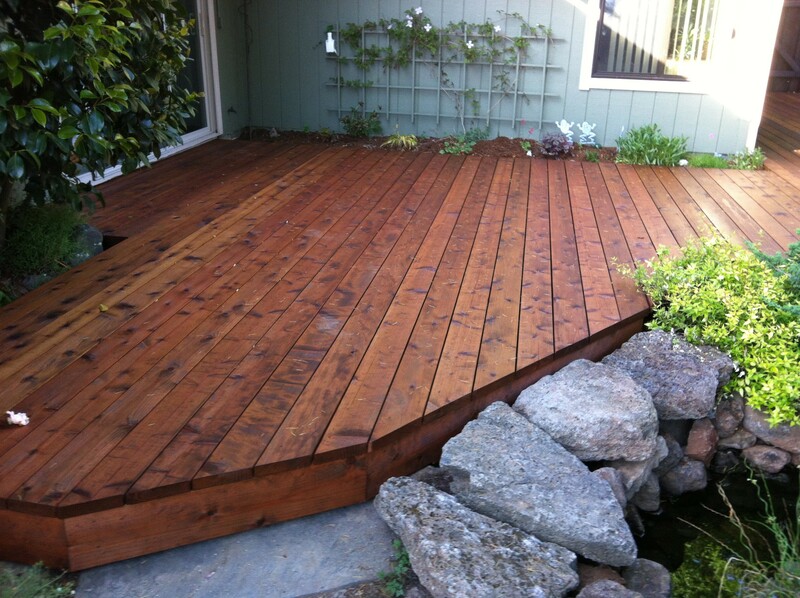 I am writing to you in regards to the recent re finishing of our deck in Petaluma. You came out to our house last November for an evaluation. You recommended Carlos to do the job. All of our dealings with Carlos and his wife were very professional. They were always on time, kept everything neat and clean and did a beautiful job of refinishing our deck. Devery and I couldn’t be happier with the results. 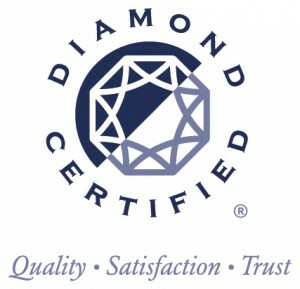 We have had nothing but compliments from our friends and have recommended your company to several. Be sure to pass along our gratitude to Carlos and his crew for a job well done. 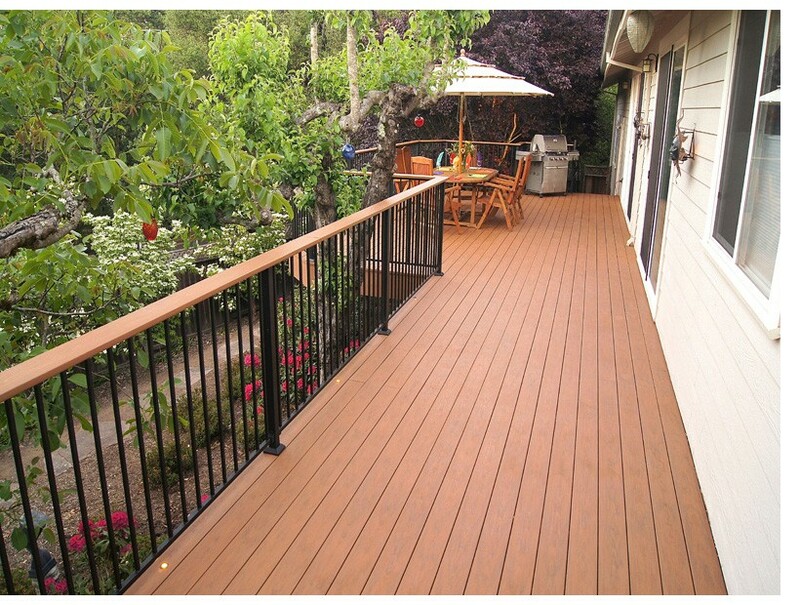 We couldn’t be happier with the fantastic job Deckmaster Fine Decks performed on our trellis, deck and fence. The wood was very dirty and neglected and really brought the look of the house down. Now they are clean and beautifully stained becoming a highlight of our home. The crew was professional and meticulous in their work and a real pleasure to work with. 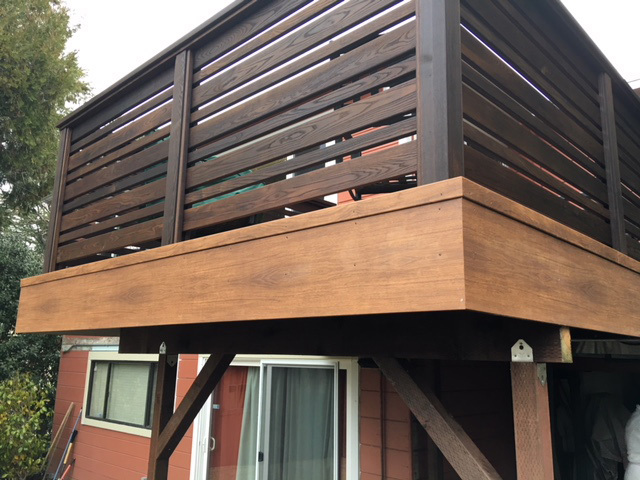 I would highly recommend Deckmaster and plan on having them maintain our woodwork on a regular basis. Thanks Weston, for fulfilling your reputation of making beautiful decks! 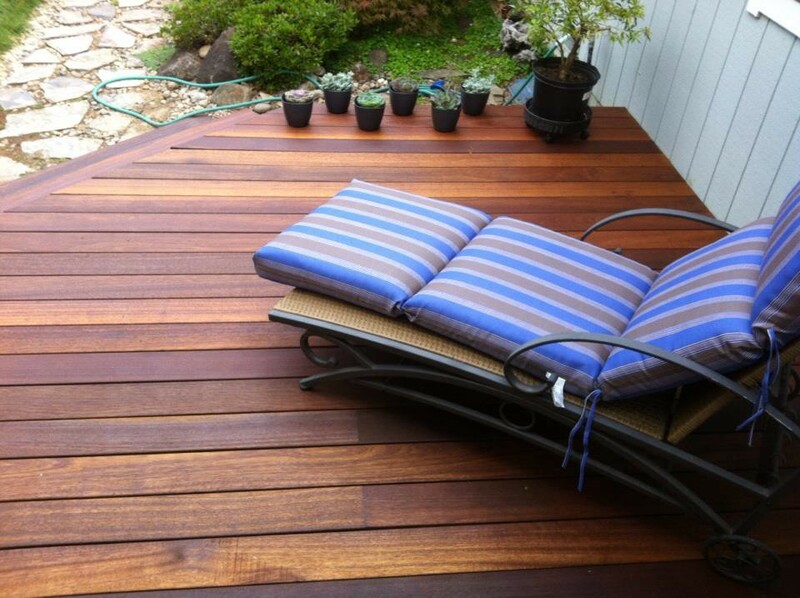 And for accommodating those details that made you the best choice for building our deck! 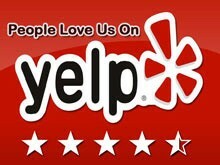 Wanted you to know that we are very impressed with your crew, Miguel, Bobby and David. They are very professional with us and each other, hardworking and considerate. We especially appreciate the good workmanship and attention to detail. We like the wonderful look and the fact that it blends in so well with our home. The quality of the work is beautiful. Read More and See the Deck! We wanted a builder who could construct a deck, stairs and a bench so that it would look like finely crafted furniture. 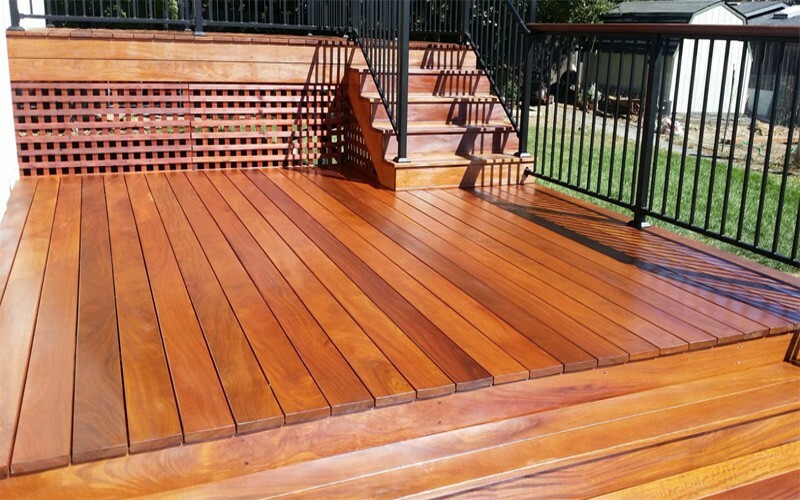 Deckmaster expertise with the hidden faster system as well as synthetic decking has provided us with a beautiful, low maintenance and very strong deck as well as a fabulous fence! Thank you for building the beautiful deck that you have left us with. It’s exactly what my wife was thinking of and already we’re enjoying it! At Easter, it will be broken in with a big party. They offer quality work and you’re paying for the best quality of construction. I just liked the comfort of knowing that I was dealing with experts. They definitely know their trade. They superseded my expectations. They have fine carpentry skills, the ability to follow a plan, and they can improvise around various problems. They have a good knowledge of how to use different materials, as well as knowledge of the woods, including synthetic wood. 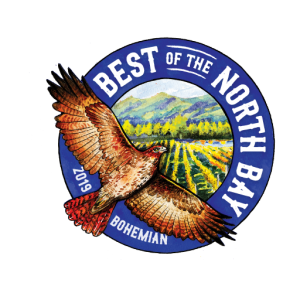 They came in on quote, they executed exceptionally well, and they went above and beyond our expectations. They also have health care coverage for their employees. I did not want to hire anyone that did not treat their employees well, so that was one of the things that I asked about prior to hiring them.